“Buy this! Jean-Michel Pilc is an incredible musician, and this is an incredible video. A master musician describes to you what goes on in his head while he performs, and then describes how he achieved that ability, then gives you concrete examples of how to do it. Perfect. I am a third year in jazz school, but I have no doubts that this material would be very helpful to a beginner as well. I'll be watching this video many times over, I'm sure. It's remarkable. Pilc in essence explains everything one would need to become a functioning jazz musician, and he does it in 2 hours. Besides being a prolific leader, composer & educator, Jean-Michel Pilc has played with an impressive list of musicians: from Roy Haynes to Michael Brecker, Marcus Miller to Kenny Garrett, and with Harry Belafonte as Musical Director. Inside of “True Jazz Improvisation,” Jean-Michel shares with you his philosophy of improvising not being about soloing, but about creating a piece of music on the spot – alone or in a group setting. dramatically change the way you perceive rhythm, melody, your band mates & yourself. A Music-Changing Process for ALL Musicians, Improvisers & Composers! For ALL Instruments & Levels! Jam-packed 2-hour Lesson with a Master Improviser & Master TEACHER! “I am a professional pianist who since over 25 years has been playing with a successful German band specialized in the music of the 20s/30s. Happy and grateful as I am with what I do, I have always felt the urge to find my own pianistic language – but never knew how. “I have a library of instructional material, literally. Most are variations on a theme – play this scale here, this chord here, this lick here. This one is very different. While there is some discussion of technical aspect of playing, the focus is on developing musical intuition. He gives practical examples of how to ‘un-learn' all of the rote programming and tap into the melodies that are unique to you as the performer. 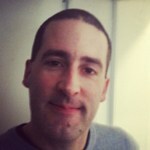 He is a funny guy as well; a great presenter of information. The production of the material is as good as you will find anywhere, which is typical of the JazzHeaven products. The sound and video quality are perfect. “If you are like me you went to school and studied books about jazz improvising. While that can be helpful, I feel that it leads to several problems, the worst being not really being able to improvise or feel connected to the music you are making. “This is a lesson on instant composition and orchestration. By the end of the lesson, you should have a good idea about the path Jean-Michel Pilc took to arrive where he is now. He will provide new ways to challenge yourself harmonically, melodically and rhythmically. He will show you how to think like a bass player, and drummer and a pianist – all at the same time! His examples are simple and accessible, but extremely convincing. “I am a trumpet player learning to play jazz at age 58. Jean-Michel Pilc delivered a first class demonstration and lecture in the video regarding Jazz Improvisation. I really felt like I was right there with him. His examples were challenging and interesting. I had never tried to do some of the things that he suggested and I found them intriguing and difficult. There were some ideas that I immediately put to use in my next session at the Jazz Workshop near my home. This is really a wonderful and fascinating demonstration/lecture. I will be pondering a lot of what he said as I move forward in Jazz. 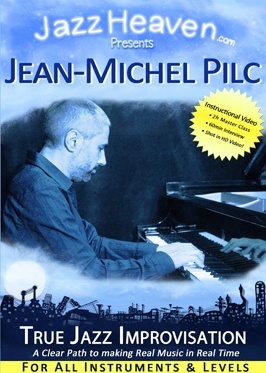 “Jean-Michel Pilc explores different ways to think about improvising solos. The old saying is improvisation is spontaneous composition – and Pilc expands on that, showing how to treat soloing more like composition, and building on your themes and rhythms.